Happy New Year and welcome to 2013! With a fresh year comes new resolutions for many people, and whether you are the type to keep your goals for just a week or to strictly adhere to them for an entire year, why not let the DMA help out? Be healthy! A popular resolution is to be healthy, which may include getting fit by visiting the gym more often or even taking the stairs instead of the elevator. The DMA is agreat place to master stairs. Did you know that the Museum has over 120 stairs? Or, bring the family to bend and twist during our Yoga for Kids during Late Night at the DMA. Climb up and down the staircase near the Atrium Cafe a few times – there are 62 stairs here! Save money Budgeting and spending less is often a top resolution – especially after the spending frenzy that usually takes place around the holidays. 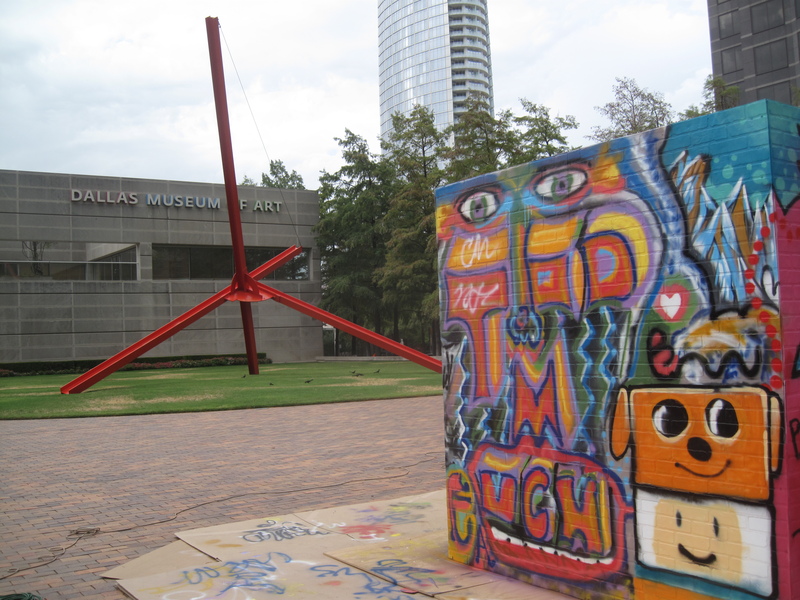 A visit to downtown Dallas might make you think of reaching for your wallet, but in a few short weeks, both general admission and membership will be FREE at the DMA! 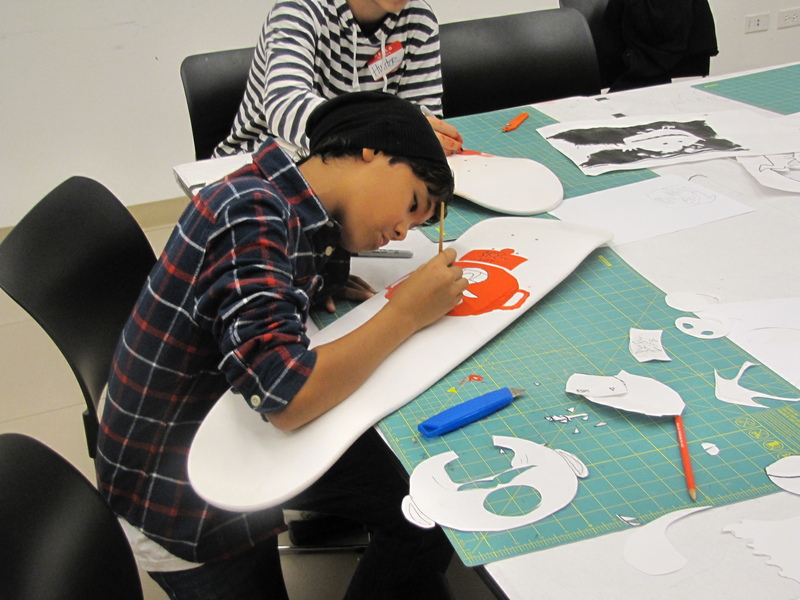 Sketching in the Galleries – one of the many things you can enjoy for free after January 21! Learn something new Expand your horizons and learn all kinds of cool things at the Museum. Learning a foreign language? Visit Posters of Paris: Toulouse-Lautrec and His Contemporaries to discover how many new French words you can pick up. Attend an Arts and Letters Live event and hear an award-winning author to expand your literary expertise. 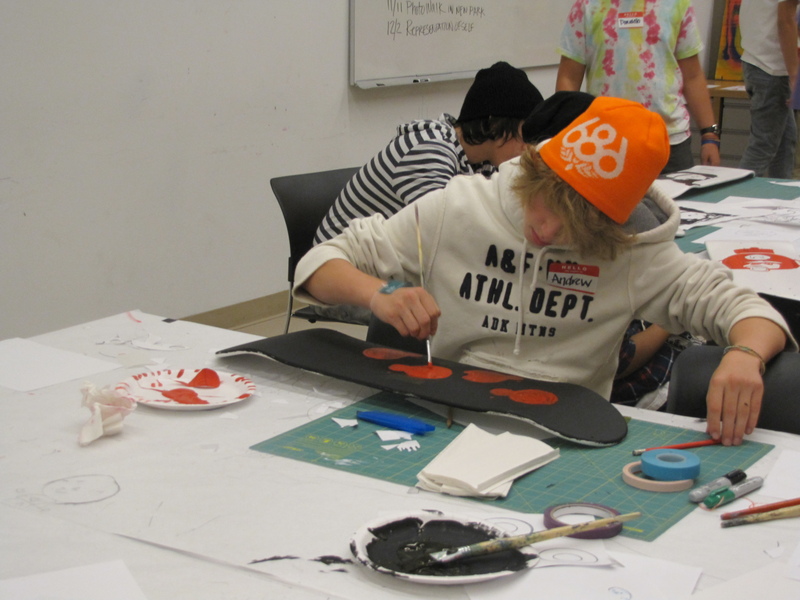 Pick up an artistic skill in the Studio with a hands-on experience during a C3 Artistic Encounter. 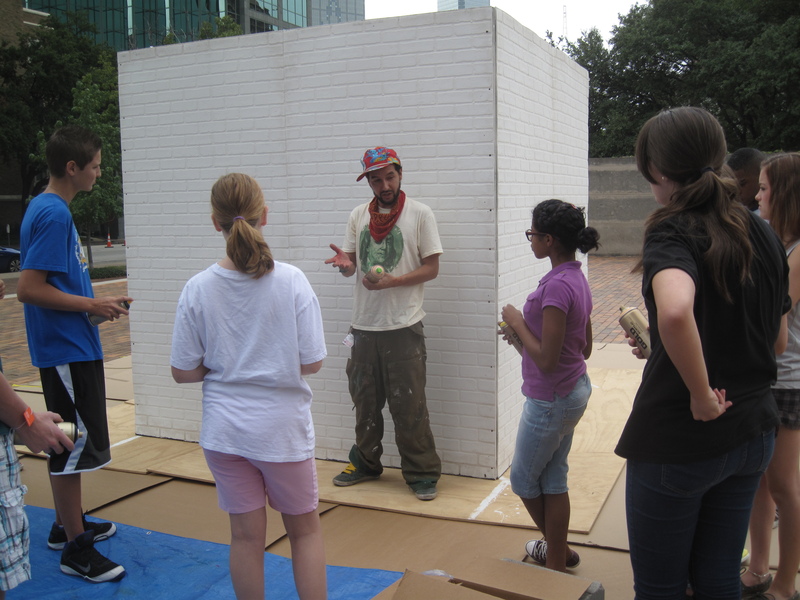 You can even meet and interact with artists in a variety of DMA programs! Visitors exploring art materials in the Studio. Artist John Bramblitt talks about his artwork during an Art Beyond Sight access program. Spend more time with family and friends Spend time with family and friends while learning about works of art in the galleries and you might even learn some new about one another! Have a date night at the Museum during Jazz in the Atrium on a Thursday evening or bring the whole family and enjoy a wide variety of experiences during a Late Night at the Dallas Museum of Art. Fun times during Late Night Studio Creations! Whatever your resolutions might be, having fun is one resolution that should be on everyone’s New Year list. Take time to enjoy life and appreciate the beauty around you! Happy New Year! What is your background and why did you decide to become a teacher? 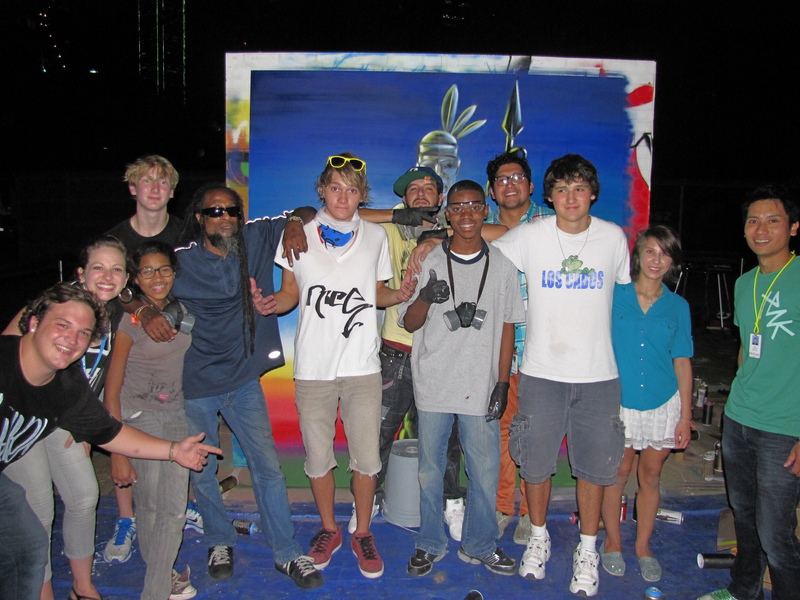 What about working with our Urban Armor teen group appeals to you? Is there a difference between teaching students in the museum and in the classroom? What was the goal of the program on Sunday? What was your fondest memory of this class? Why do you like working at the DMA? To find out more about Urban Armor and upcoming workshops please visit the website. 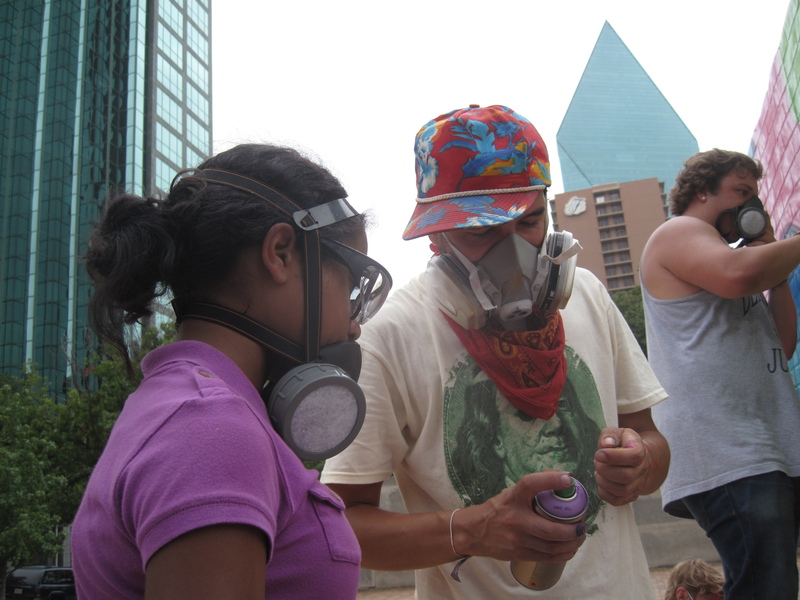 Urban Armor is the Dallas Museum of Art’s unique program for tweens and teens. 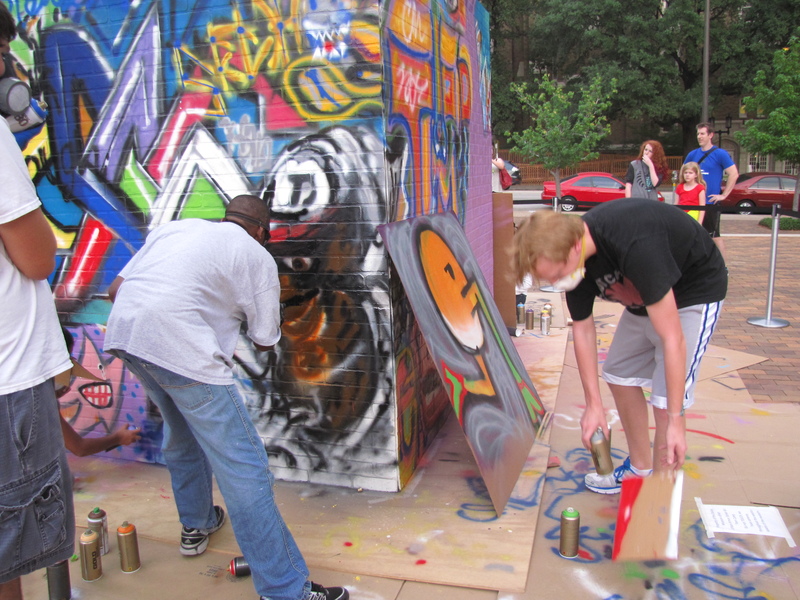 These photos highlight the first summer camp for this age group focused on identity through street art. During this camp, students developed new ways to express themselves with the assistance of our Urban Armor teachers Amanda Batson, JC Bigornia and guest artist Isaac Davies. For upcoming Urban Armor programs, please visit our website. If you’ve ever read any of the eight books by David Sedaris, you probably already consider him a close and personal friend. Through his witty short stories, he seamlessly weaves back and forth between autobiography and absurdist fiction, having the reader laughing and gasping at each turn of the page. He effortlessly wraps you up in his world, introducing you to his quirky family, and keeping you on the inside of every joke. So, it came as no surprise that he was just as enthralling and humorous in person as he is in his books. This was David Sedaris’ fourth year coming to Dallas with Arts & Letters Live, and yet the 2,500 seat SMU Auditorium was still completely sold out. After several readings and a question and answer session, many hurried to get their place in line to meet David. I say meet, because David Sedaris does not just sign books, he has a conversation with each person who approaches his table as if welcoming them into his home. Despite this taking hours, going very late into the night, Sedaris maintains his energy and enthusiasm for each and every fan. He uses his comedic flare to start unusual conversations with each visitor, and then references the encounter in the book he signs for them. With a drawing or clever comment, Sedaris turns a brief interaction into a special inside joke between the fan and him. In my case, I was so excited to see him that I ran out the door without either of my two favorite books that I wanted him to sign. 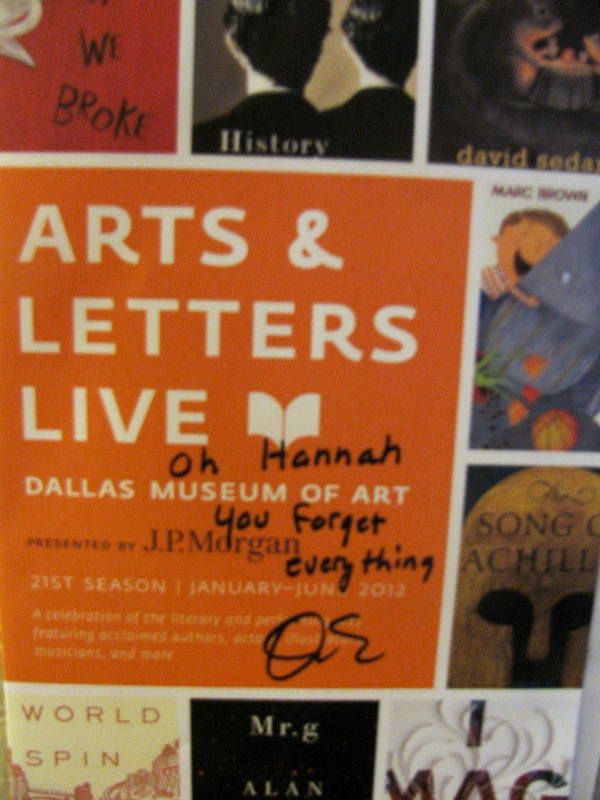 Fortunately with a simple explanation, he was more than happy to sign the program for me instead, writing, “Oh Hannah you forget everything”. 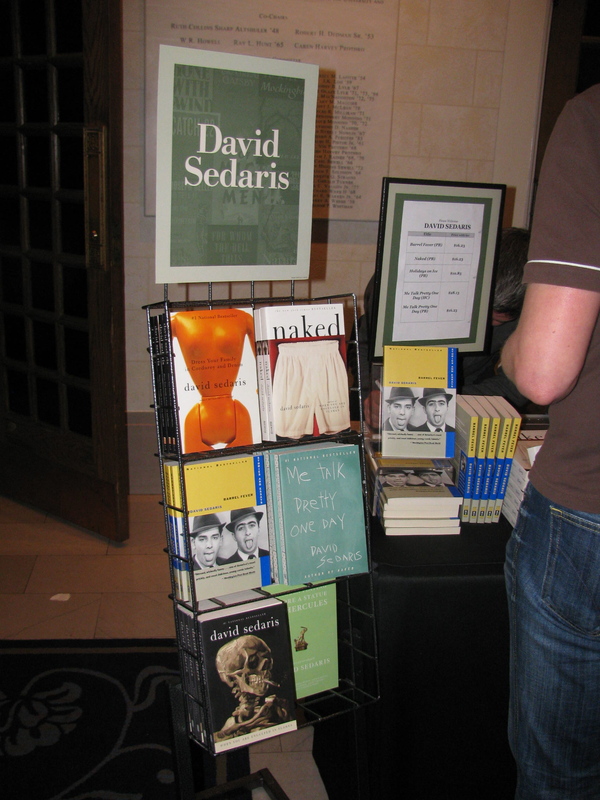 So, just like many of the fans in line, I got to walk away with my very own personal story of David Sedaris. Don’t miss out on the rest of this Arts & Letters Live season! If you have any stories from an Arts & Letters Live event, please don’t hesitate to share in the comments below. Each week Lynda visited was an inspiration for everyone who interacted with her. Each week was also intense and, as the project manager, I wore many different hats: chauffeur, art historian, collaborator, gopher, and documentarian. In the beginning, I knew nearly nothing about dance, nor had I thought much about the relationship between visual art and dance. But by the end of the project (and perhaps even now), I hoped to be a dancer and choreographer in my next life. This experience was my first real opportunity to figuratively “rub elbows” with a living artist. My training and education was heavily focused on art history. Most of the artists I studied were in books and in the past. I welcomed the opportunity to make this experience with Lynda a significant part of my own creative development, observing closely and listening carefully, seeing the world through Lynda’s eyes for a brief time, catching a glimpse of where she drew inspiration, and looking for new connections between things in my world. I carry this experience with me always, and it impacts my work. Tell me about a time that you “rubbed elbows” with an artist? If you’re looking for more opportunities to connect with artists, I invite you to visit the DMA. Each year we work with hundreds of living artists of all art forms: dance, theater, visual arts, music, and literature, to present, perform, and celebrate the arts. Consider the following opportunities and make a connection with an artist! 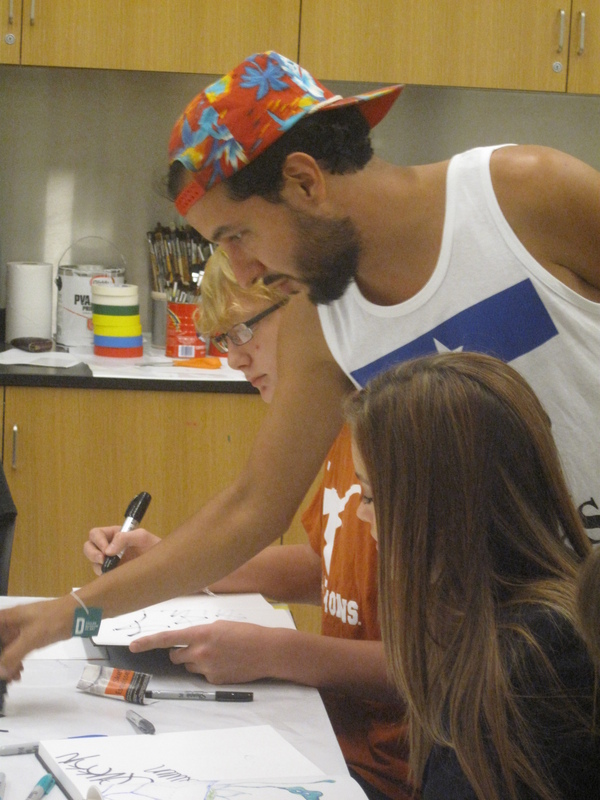 Programs with C3 visiting artists celebrate creativity and the artistic process. 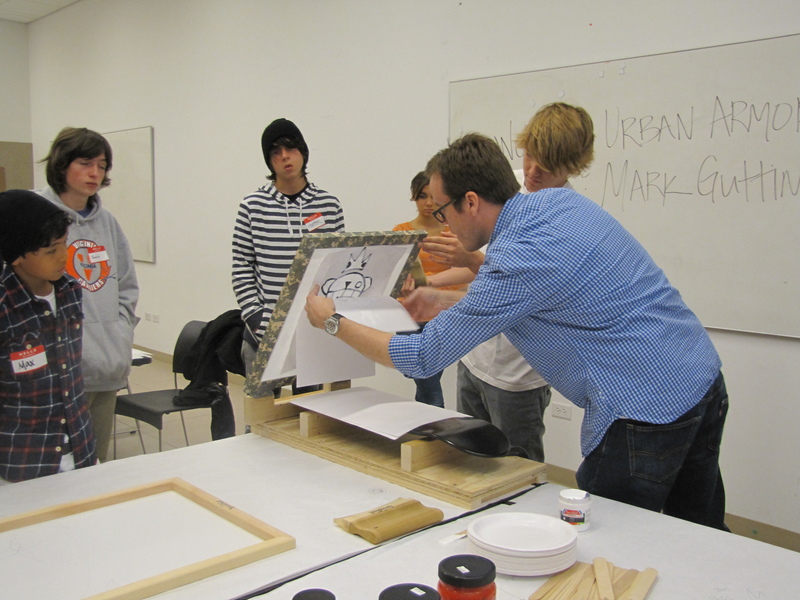 Join us for lively conversation and art-making projects during drop-in workshops. Visiting artists during December and January include Teresa Rafidi, Annette Lawrence, and Brian Fridge. Annually, the Dallas Museum of Art celebrates the creativity of young artists in our community through the exhibitions Something Beautiful, Young Masters, and the Art Ball Young Artists Program. Artists of diverse disciplines join us for commissions and programming that celebrate the creative process and build bridges among various art forms. 2011 marks the 20th anniversary of Arts and Letters Live, our literary and performing arts series. This season features over 60 artists and writers including Simon Schama, Annie Proulx, Carlos Fuentes, and more! Exhibitions highlighting work by established and emerging national and international artists celebrate the art of our time. At times these artists work with the Museum on the installation of their work, and they often participate in lectures or talks, which are open to the the public. Big New Field: Artists in the Cowboy Stadium Art Program opens at the DMA in December and includes work by Trenton Doyle Hancock, Annette Lawrence, Olafur Eliasson, and Teresita Fernandez, as well as others. Visit an exhibition of works by Mark Bradford in fall 2011! Have you ever wanted to go out on the town with your friends before all the weekend excitement happens? If so, I recommend coming to the Museum on Thursday evenings between 5 and 9 p.m. Bring your educator ID and receive FREE admission to enjoy a variety of experiences like Jazz in the Atrium, artist encounters, lectures, and much more! Below are a few of the fantastic programs that are happening over the next few months. Reservations recommended; reserve your seat online or by phone at 214-922-1818. For more highlighted Thursday and Friday programs, go to the Evening Programs section of the DMA’s Educators Web site.